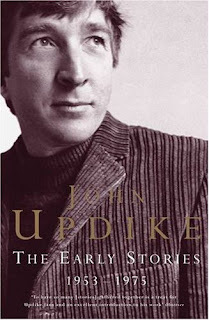 Literary giant John Updike died today. His last short story collection--My Father's Tears and Other Stories--will be coming out in June. It will be his twelfth book of short stories, including a retrospective, The Early Stories: 1953-1975, published in 2003. It goes without saying that he was and will remain an important American short story writer, novelist, memoirist, critic, and poet. A great book to read about Updike is Nicholson Baker's 1992 book, U and I, which chronicles Baker's near obsessive interest in the U of the title. Readerville is a good source for links to various obituaries and articles on Updike, as well as a place to throw in your two cents about him. The New Yorker's Book Bench blog is running a series of reminiscences and homages that some of its regular contributors have written. It's interesting that writers such as George Saunders and T. Coraghessan Boyle never met John Updike. I've always thought of him as very accessible, but I guess he didn't make the scene too often. I did in fact meet Updike once. It was in early 2000 at a book party at a New York restaurant for Best American Short Stories of the Century. My wife, Alice, and I were invited because Updike had chosen her story, "In the Gloaming," for the anthology. We milled about before approaching him, toward the end of the evening. Alice had been eager to meet Updike but was feeling a bit reticent about elbowing her way forward. I literally pushed her toward him. He was, as you'd expect, gracious. It felt odd to be standing near someone whose face I'd seen a hundred times on the backs of books and book flaps. I almost felt like reaching out to touch his aquiline nose or shaggy eyebrows. Updike told Alice that her story was one of his favorites in the book, which bowled her over. After what couldn't have been more than five minutes, we backed out of the circle so someone else could take our place. Believe it or not, this anecdote connects to two of this year's finalists for The Story Prize. I met a nice young writer named Jhumpa Lahiri at the same party. Interpreter of Maladies was out, but it hadn't yet won the Pulitzer Prize. I had included the title story in Prize Stories 1999: The O. Henry Awards, so it was nice to chat with her for a few minutes. I imagine Lahiri met Updike that night, too. 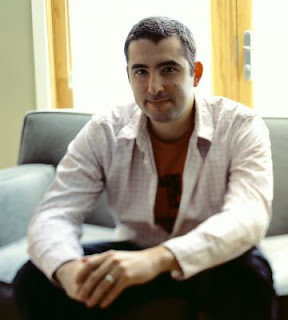 The second connection is that Tobias Wollf (who wasn't there) was the guest editor who had chosen "In the Gloaming" for The Best American Short Stories 1994. Without that, we wouldn't have even been in the room. I had corresponded with Updike before then and after. He had politely declined offers to be a judge for the the first volume of the O. Henry Awards I edited or for the first year of The Story Prize or to read at the 92nd Street Y for the 80th anniversary of the O. Henry Awards. He always replied politely, via typed postcards that usually included an amusing sentence or phrase. Although I always expected to get a no from him, I firmly believed that the first writer I should ask to do anything was John Updike. 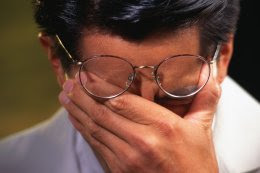 I am weary of Self-Consciousness. What I have written here discomfits me; it is indiscreet and yet inaccurate, a greedy squandering of life's minute-by-minute savings, a careless provisional raid upon the abyss of being. Fiction, which does not pretend to be true, is much truer. This stuff is embarrassing. The reviewers will jump all over it. I think I'll save myself a peck of trouble and not publish. Self: Oh, go ahead. It was written, after all, only by Updike; it has nothing to do with me. As a finalist for The Story Prize, Joe Meno joins the company of two widely known authors--Jhumpa Lahiri and Tobias Wolff. While Meno may seem like a newcomer to some, however, he has already published four novels and has another, The Great Perhaps, coming out in May. Not only that, Demons in the Spring is his second story collection. That's impressive output from the 34 year-old Chicagoan, who also writes plays. Meno's work has inspired a couple of short films--one of a story, "Our Neck of the Woods," and the other of his first novel, Tender as Hellfire--as well as this trailer (which unabashedly appropriates Wes Anderson's style) for his most recent novel, The Boy Detective Fails. Compare this list to the tally I made in December of short story collections named to yearend best books list (or don't because I'm about to), and you'll see a lot of overlap. Ten of the 14 books on this list, plus two of our finalists (Jhumpa Lahiri's Unaccustomed Earth and Tobias Wolff's Our Story Begins)--for a total of 12--overlapped with the 22 books listed on that post. I'd add, that six of those books weren't entered for The Story Prize, so it's really 12 out of 16. On the other hand, there are five books on our list that I didn't see mentioned in any yearend lists (though in all fairness I stopped counting on Dec. 15). What explains this? For one, there's the old (but true) saw that there's no accounting for taste. Secondly, we probably read more story collections than anyone picking books for those lists, so our field was bigger. Still, I can't help but feel that some very good books were overlooked. To begin with, I didn't see finalist Joe Meno's Demons in the Spring on any yearend list and, obviously, if we think it's good enough to be a finalist, we feel like that's a major ommission. Demons was well-reviewed when it was reviewed, which wasn't enough. I also find it surprising that I didn't see John Barth's The Development--which gave me as much pleasure as any book I read--on any lists. In any event, I'll give some of my thoughts on particular books on this list in upcoming posts and say more about our finalists soon. * Note: We got Annie Proulx's collection in galley form, hence the white spine on the book fifth from the right.